South Bank. This cultural hub is renown for its diverse culinary offerings and for many Brisbane locals it's the ultimate weekend destination. The dining precinct of Little Stanley Street boasts a wide range of restaurants allowing diners and foodies to taste the flavours of the world in a single weekend's outing. 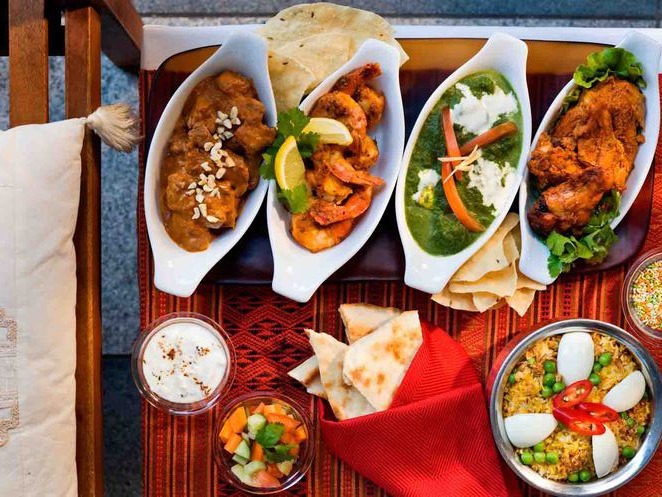 Gandhi Curry House showcases authentic recipes from Northern and Southern India. The House is equipped with a traditional tandoori oven where fresh naan and roti breads are baked daily. In true Spanish style, Ole restaurant serves up a selection of share plates including tapas, raciones and paella. These dishes are accompanied by an extensive selection of house made sangria, boutique wines and craft beers. Chef Tetsuo has crafted an exotic selection of modern Japanese dishes, inspired by his experiences from over 30 years as a professional chef. The menu encompasses a diverse range of cooking techniques including classic Tempura style seafood, Teriyaki meats and hand made sushi. Inspired by the diners of Louisiana, South Side Diner presents a modern twist on South American favourites. We had the opportunity to indulge in some of their classic dishes including jumbo wings with blue cheese sauce and their signature 'mac & cheese'. This family owned Trattoria dishes up a selection of rustic Italian street food including pasta's, share plates and antipasto boards. All dishes are made using fresh produce sourced from local artisans. A wide world of exiting flavours can be discovered in Brisbane's South Bank.